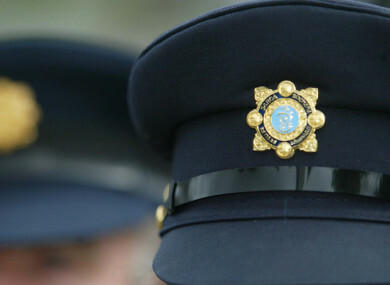 A NEW SURVEY COMMISSIONED by An Garda Síochána has again found that people’s perceptions of national and local crime have remained relatively unchanged over the past year. The Garda Public Attitudes Survey for Q2 2018 (April to June), which is conducted by Amarach Research, found that 22% of respondents considered local crime to be a very serious or serious problem, an increase of 2% since Q1 2018. Between April of June of this year, 75% of respondents perceived national crime to be either a very serious or serious problem. It should be noted that the proportion of respondents who consider national crime a very serious or serious problem has remained relatively stable over the last number of quarters. For example, in the second quarter of 2017, 76% of respondents said they considered national crime to be a serious or very serious problem. The number of people saying they were victims of crime has risen from 5.7% in the second quarter of 2017 to 7.9% in the same quarter this year. According to the survey, a total of 36% of responders said they had no fear about crime in general. 66% of people said that their fear of crime had no impact on their quality of life. During Q2 2018, 49% of respondents said they did not worry about becoming a victim of crime, whether that is of crime involving personal injury, property theft or damage. Overall, 75% of respondents in Q2 2018 said they were either very satisfied or satisfied with the service provided by An Garda Síochána in local communities. 74% agreed that gardaí in their area can be relied upon to be there when they need them. Furthermore, 92% of respondents in the last quarter said they felt members of An Garda Síochána would treat them with respect if they had contact with them for any reason. However, 37% of respondents agreed that community relations with the police were poor and 45% said that gardaí are not dealing with the things that matter to the people in the local community. An Garda Síochána said that the Public Attitudes Survey is an important focus for measuring progress against some of the key priorities for the Garda organisation in terms of service provided to communities. Commenting on the survey findings, Deputy Commissioner John Twomey said: “The continued high levels of trust in the organisation and individual members locally is [a] testament to the work done by our people every day to protect their communities. The survey is run on a continuous basis, with 1,500 people being surveyed each quarter. Data was collected by means of in-home, face-to-face interviews. It was noted that the survey is of a random sample of the population and, therefore, it must be accepted that there will be some margin of error, which has been calculated at +/- 2.53% for the quarterly sample. It was also noted that as analysis is done on smaller proportions, the margin of error increases. This should be taken into account when looking at the analysis of victims of crime. Email “74% of people say gardaí in their area can be relied upon to be there when they need them”. Feedback on “74% of people say gardaí in their area can be relied upon to be there when they need them”.